A village northwest of Hertford has opened a new pre-school called ‘New-Bees’. More than 140 people including staff, students, visitors and parents witnessed the opening event. The new pre-school will be able to cater for children aged two to four. Work on New-Bees started before the summer and finished just before the start of the September term. 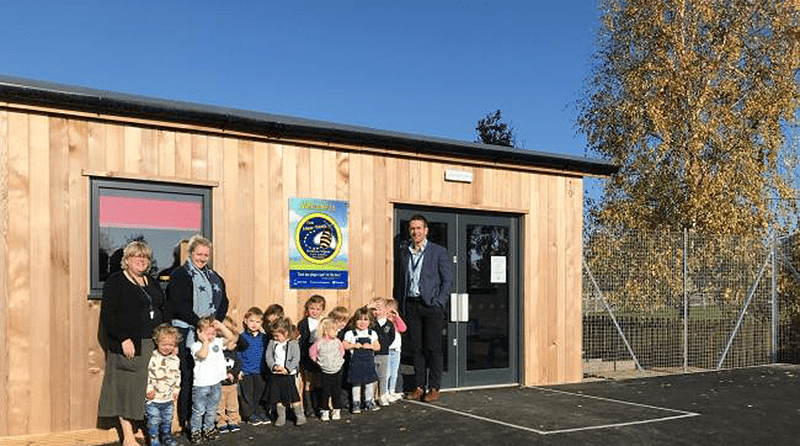 The pre-school also had two new classrooms built four years’ ago, to extend the capacity of the school.